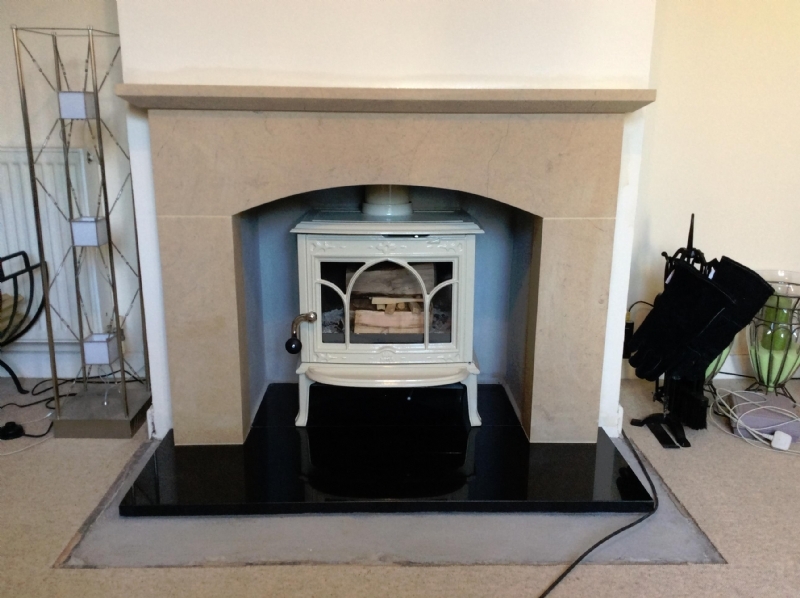 Jotul F100 in a Wessex Stone Fireplace wood burning stove installation from Kernow Fires. 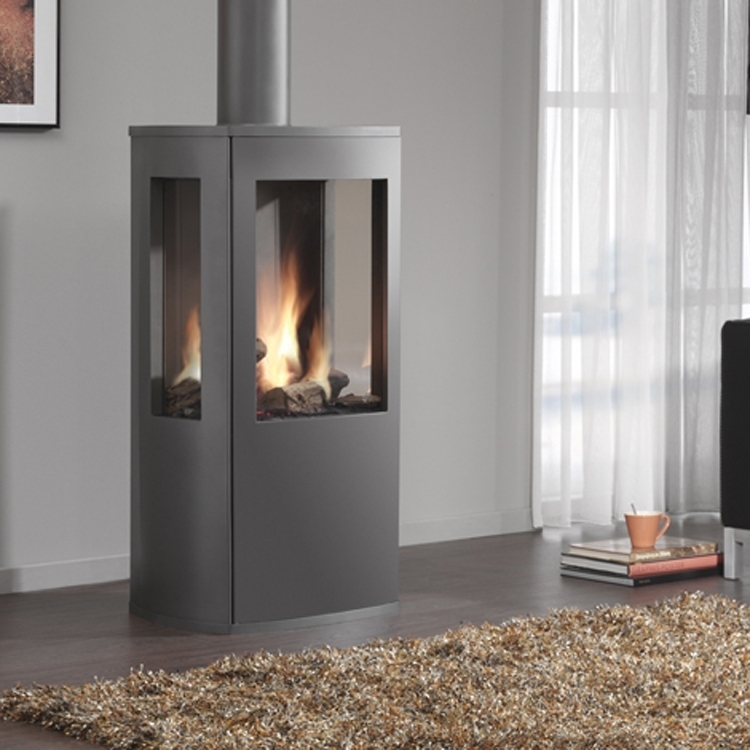 The Jotul F100 is the perfect solution for a no fuss traditional fireplace. 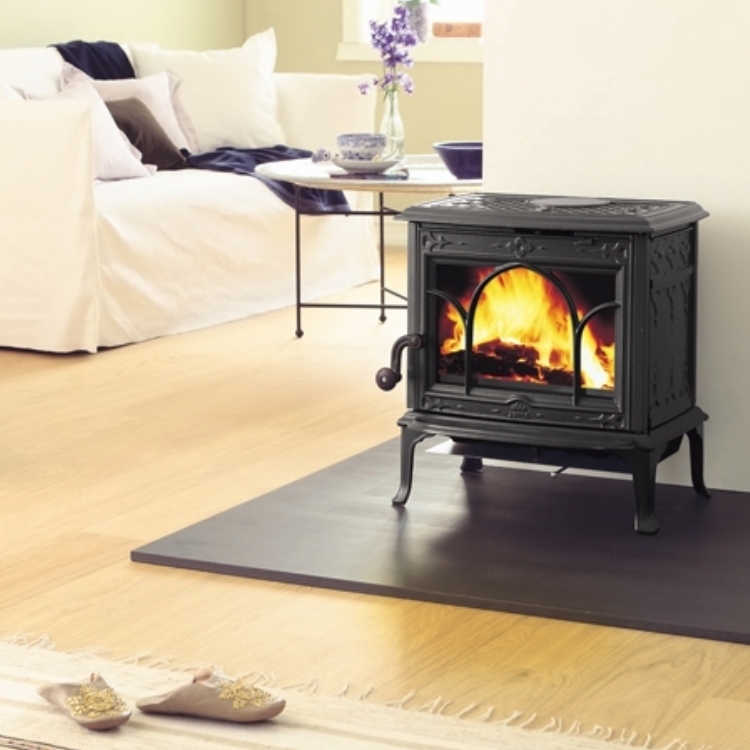 The Wessex stone mantel is made to order and the beautiful light stone is offset wonderfully with the jet black hearth. 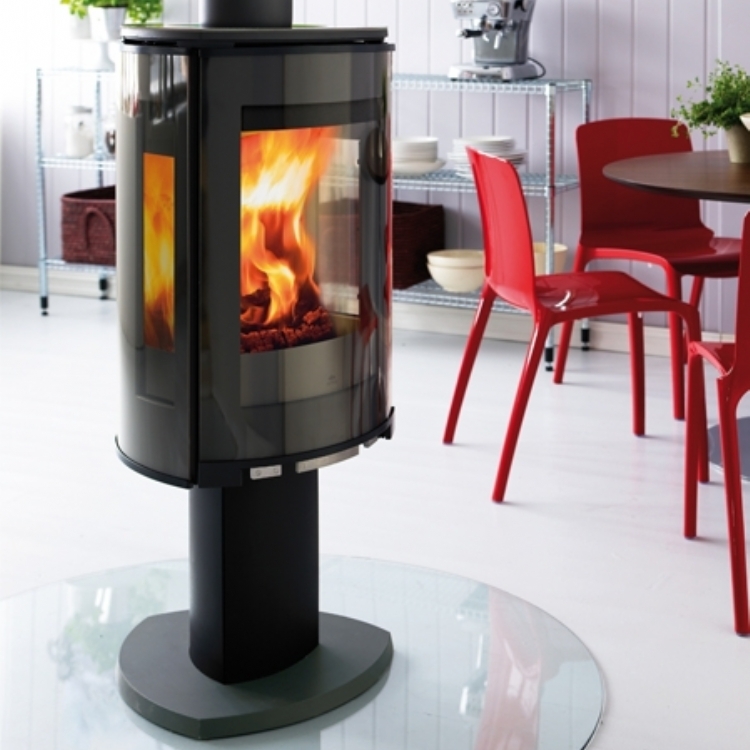 The Customer Mr Bridges is very pleased with the result 'We are just delighted with the service we have received, the quality of the products and standard of workmanship. Perfect!